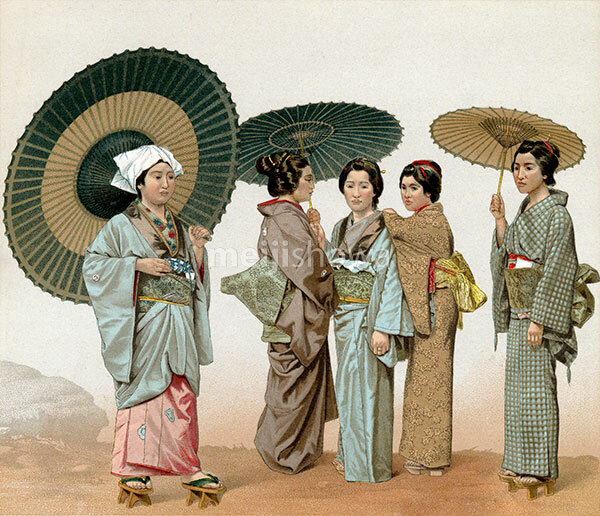 Five Japanese women in kimono holding parasols. Lithograph from the book “Le costume historique”, by French illustrator Auguste Racinet (1825-1893). It was published by Paris based publisher Firmin-Didot et cie in 1888.